Age: Candidate age Limit should be Minimum 18 years and Maximum 24 years. Qualification :Candidates should have 10th,12th class from the Recognized Board/University. Application fees:Candidates fee details go to official notification. How to Apply:Interested Candidates Can Download official website.Click on career section. 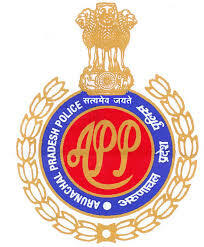 Look around for Arunachal Pradesh Police Recruitment 2018 for 226 Posts.Fill application form.Pay the application fee.Click on submit button for final submission.Save and take print out for future use.